Congratulations on the achievements that have led you to this step in your journey. New Student Orientation marks your entrance into the UWM community. 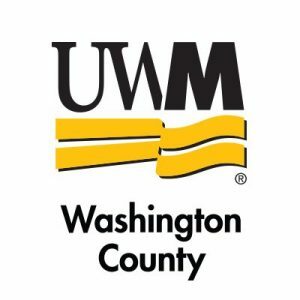 This program will introduce you to the UWM at Washington County campus, as well as to other new students and families. New Student Orientation is intended for new students, but parents are welcome to attend Family Orientation. Step 1: Take Placement Tests (UWM has to receive your scores before this item is removed from PAWS – it can take up to 3 weeks) with required essay component. Freshmen and Transfer Student can find Placement Testing information using this link. When you log in to the Orientation registration site, you will have the option to indicate your current meta-major. We want to accommodate any mobility or accessibility needs that you may have in order to provide you with the best orientation experience. You are not required to bring a guest, but if you would like to bring family members with you, you are allowed up to 2 guests. Romantic partners (boyfriends, girlfriends, partners) are not appropriate guests for this program. Please note you will not be with your guests for a majority of this program, including course enrollment. During the Orientation program, you will have the opportunity to participate in the UWM at Washington County Meet & Greet, which is a campus resource fair where you have the chance to talk to different offices on campuses about the services they offer and how they can help you during your time at UWM at Washington County. Something to write with, a notepad, a phone charger, a sweater (most buildings are air conditioned and can get cold), a water bottle, and some spending money (the Bookstore will be open during orientation programs). When attending New Student Orientation, we ask that you park in the upper parking lot located off of 400 University Drive, at the top of Campus Drive. From the parking LOT, signage will direct you to the check-in area (outside ROOM #). Take US 45 South to WI 33, turn right (west) 1 block to University Drive. Turn left (south) and continue to UWM at Washington County. Take US 45 North to WI 33, turn left 1 block (west) to University Dr. Turn left (south) on University Drive and continue approximately 3 blocks to UWM at Washington County. Take WI 33 through West Bend. University Drive is approximately 1 block past the junction with Hwy. 45. Turn south (left) on University Dr., and continue approximately 3 blocks to UWM at Washington County. and continue to UWM at Washington County.